Any attorney, divorce, or custody coach will tell you that custody and child support are two different issues that should not be considered together. The truth is far different, however. As we all know, child support is based on income and how much time the children spend with each parent. In most states, support is determine based on the share income model, whereby all income is pooled and then split, with support being paid to the parent who has the most custody time and/or lesser income. The closer each parent has to equal time, the less child support is due. So how does this affect the shared parenting movement and fathers gaining more custody? (A) The paternity establishment performance level. (B) The support order performance level. (C) The current payment performance level. (D) The arrearage payment performance level. (E) The cost–effectiveness performance level. 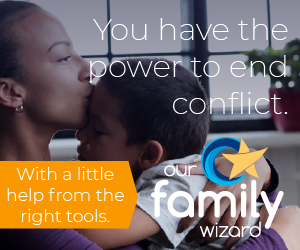 Let’s take these one at a time and discuss how they impact share parenting and other custody arrangements. (i) Determination of paternity establishment performance level.—The paternity establishment performance level for a State for a fiscal year is, at the option of the State, the IV-D paternity establishment percentage determined under section 452(g)(2)(A) or the statewide paternity establishment percentage determined under section 452(g)(2)(B). Now, remember that custody and child support are handled separately in court. So, this section of the code is encouraging states to find fathers and determine paternity. Why? So they can collect child support, with nothing in the code to encourage that the newly identified father receive custody or even visitation from a woman who may not have even told them she was pregnant. Further why is there no code for vigilantly enforcing child support orders against mothers? There are plenty of single fathers not receiving child support, yet you’ll not soon see stories about deadbeat mothers (despite the reality that mothers who are ordered to pay child support default in whole or in part at a percentage much higher than fathers). (i) Determination of support order performance level.—The support order performance level for a State for a fiscal year is the percentage of the total number of cases under the State plan approved under this part in which there is a support order during the fiscal year. Did you read that? The more cases in which child support is ordered, the more money the state receives. It’s in the states’ best interests, and the best interests of the workers of the state (the ones that are judging and deciding how much custody you get) to keep one parent out of the picture in order to maximize the number of child support dollars. (i) Determination of current payment performance level.—The current payment performance level for a State for a fiscal year is equal to the total amount of current support collected during the fiscal year under the State plan approved under this part divided by the total amount of current support owed during the fiscal year in all cases under the State plan, expressed as a percentage. So, now that the state has forced a child support order, rather than making sure the children have equal access to both parents, the state has only assured that they are going to benefit by how much child support they actually collect. Is there anyone who doesn’t already know that children with two parents in their lives fair better than those raised by mothers alone? This is the reason fathers, in the overwhelming majority of cases, go to jail for failure to pay child support. Meanwhile, nothing happens to mothers who withhold or deny visitation because the court has no financial incentive to hold mothers to custody agreements/orders. (i) Determination of arrearage payment performance level.—The arrearage payment performance level for a State for a fiscal year is equal to the total number of cases under the State plan approved under this part in which payments of past–due child support were received during the fiscal year and part or all of the payments were distributed to the family to whom the past–due child support was owed (or, if all past–due child support owed to the family was, at the time of receipt, subject to an assignment to the State, part or all of the payments were retained by the State) divided by the total number of cases under the State plan in which there is past–due child support, expressed as a percentage. As we’ve seen in many recent child support cases, arrearages are being assessed by recalculating back support orders, or even awarding attorneys fees, even when involved in contempt issues which are completely separate from support orders. The arrearages then count towards additional financial incentives the states receive. It’s in their best interests to stick non-custodial parents with as many fees as possible, rolling them into “child support orders,” in order to have the largest arrearages possible. (i) Determination of cost-effectiveness performance level.—The cost-effectiveness performance level for a State for a fiscal year is equal to the total amount collected during the fiscal year under the State plan approved under this part divided by the total amount expended during the fiscal year under the State plan, expressed as a ratio. (c) Treatment of Interstate Collections.—In computing incentive payments under this section, support which is collected by a State at the request of another State shall be treated as having been collected in full by both States, and any amounts expended by a State in carrying out a special project assisted under section 455(e) shall be excluded. While this sort of makes sense from a fiscal perspective, the results of the procedures that are put into place have a far-reaching effect on non-custodial parents and even businesses. For instance, numerous states are now switching to mandatory employment withholding instead of only enforcing this with NCP’s that are behind on child support. In one state where we have clients, this has created a nightmare with small businesses. Each month the state creates a monthly CS bill that is due, even though the actual CS is taken out partially from each paycheck. This creates an artificial “arrearage” on paper even though the NCP isn’t actually behind on child support payments. The employer has to do additional paperwork to process the arrearage. At the end of the month, when the payor is caught up, the business receives another automatic modification notice removing the extra payment for the arrearage. At the beginning of the next month, the client’s child support account is charged for the forthcoming month’s child support. This means they are “behind” and the cycle starts all over again for HR managers across the state. The second portion of this code affects of lot NCP’s who have moved for work or even to follow the custodial parent after they moved-away with the children. Courts will not relinquish custody cases to new states or counties without a huge fight, because then they will not be able to collect all of those child support related monetary incentives. Of course, the new state wants that money, so they decided to just count it for both states which gives your new state incentive to jail NCP’s and enforce other harshly punitive measures against the child support payor for failure to pay child support. Is it any wonder why shared parenting is not the norm in the U.S.? Everyone knows children having both parents in their lives is the best situation possible when it’s logistically feasible and there are no provable issues related to either parent in terms of their parental fitness. If states pass and enforce shared parenting laws, they stand to lose millions of dollars. Nationwide it is more than a $4-BILLION INDUSTRY! Yes, it’s an industry. In 2008, the child support incentive fund was $483,000,000 and the fund paid for 66% of state workers compensation. If states lost this money, 66% of the money funding those benefits would vanish. The people who administer those programs would likely start losing jobs without that funding. Does anyone really believe that those individuals would vote in favor of other people’s children, when their own livelihoods depend on the income stream that results from these orders? States earn money by taking one parent out of their children’s lives. It’s time to gather, organize, and help make the plans necessary to change this madness that not only hurts individual families and children – it hurts society at-large. I would like to know the sources of your arguments please. You quote many supposed facts but with no source of the information. This will not help if I should need it for court. Social Security Administration – Title IV-d.
Part D is what you want to read to understand how the funds from the Federal Government are allocated – we highlighted some of the most important parts in the article above. Can you also list the sections that you’re pulling the quotes from?